The Active Swim newsletter in my email inbox listed an article heading that caught my eye 5 Tools to Spice Up Your Swims. The promo copy said Ever wonder what swimmers are doing with fins and snorkels? Here’s a breakdown of helpful gadgets and how to incorporate them into your workouts. Actually I have a pretty good idea what swimmers are doing with them. In many cases they think the ‘recipe for a workout’ is much like that for a cake. To make a cake, mix together cake flour, eggs, baking powder, vegetable oil, and sugar. To make a workout, mix together pull buoy, paddles,kickboard, fins, and ‘bake’ for an hour or two. 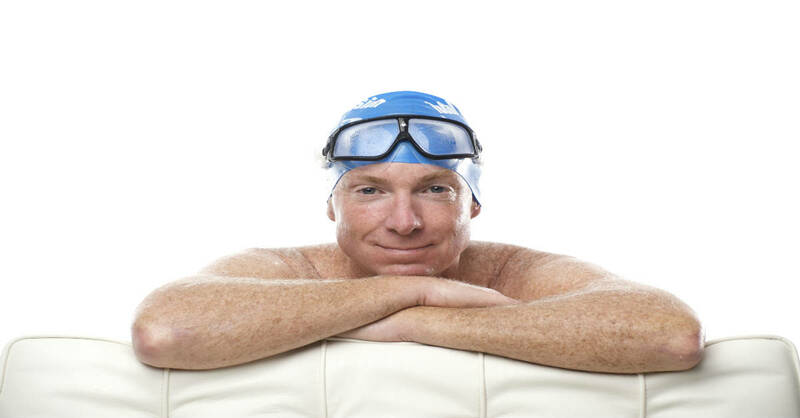 Back in 1988, when I first met Bill Boomer, he referred to them as “contaminants.” By that he meant that they impede the swimmers’ ability to develop the all-important sense of how your body and water interact. At the time I regularly used most of them in my own training and had also used them in coaching my teams. Bill got me to re-examine my own beliefs and over time I came to view them as he did. 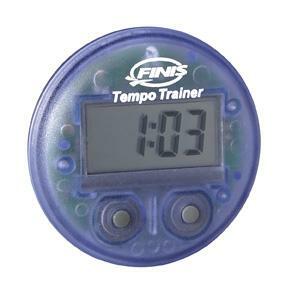 In the last 20 years the only swim tools I’ve used have been Fistgloves (in the late 90s) and a Tempo Trainer (since 2003). The article’s author Steve Munatones is recognized as one of the leading voices covering and coaching coach open water swimming, and was an elite open water marathoner himself. At 49 he can still swim a mean set of 200 – a set I never attempted in college. While Steven and I are friends, we also have some spirited-and-principled differences of opinion on training approaches. The usefulness of swim tools is one of them. Would I use or recommend this tool? 3. Highly selectively — with the right focus. The snorkel is a relatively new tool in the competitive swimmer’s arsenal. It helps both beginner and veteran swimmers focus on stroke improvement while effectively eliminating the interruption of turning your head to breathe. You can relax, breathe easily and maintain proper body alignment as well as focus on the proper hand pathway under the water. I actually find an area of agreement with Steve on the snorkel, but would advocate using it in significantly different ways. First, I don’t think it’s helpful to think of turning your head to breathe as an ‘interruption.’ In fact, rhythmic breathing – preferably to both sides — is an essential part of the freestyle stroke. It is however, IMHO, the most exacting skill in all of swimming. When a skill is that important, that challenging, and you need to do it literally every stroke cycle avoiding it as an inconvenience is not a promising improvement strategy. Rather, you need to figure out the weak points in your skill, develop strategies for correcting them and work at them tirelessly until they become strengths. The skill challenges in freestyle breathing are mainly in two areas (1) keeping the head aligned as you rotate to breathe; and (2) keeping the leading arm and hand engaged in a firm catch position until you begin rotating back from the breath. I.E. When breathing to the left, the right elbow should remain up, the right palm facing back and stroke pressure should be minimal until the left hip begins to descend in the weight shift. You can improve #1 only by practicing breathing, not avoiding it. You can improve #2 by practicing with a snorkel, but the opportunity for neural adaptation (i.e. rewiring your nervous system to replace a struggle with a skill) will be minimal if you follow Steve’s set suggestions of 5 x 100 for newbies or 5 x 200 for veterans. Our brains learn fastest when required to process new inputs at high frequency. Rather I’d suggest a series of 1 x 25 with snorkel, alternating with 1 x 50 without. Breathe to right on one length and left on next, or bilaterally the whole way. For a series of perhaps 4 x [25 + 50] focus on imprinting one narrowly-targeted skill or awareness on the 25 w/snorkel, then test your ability to maintain that sensation on the 50 without. Continue repeating with one Focal Point until you feel you are no longer improving the targeted sensation.Then introduce a new one. Keep lead arm on a Wide Track. Align with shoulder; don’t let it cross toward the middle. Feel as if lead arm and hand are ‘cushioned’ or ‘weightless.’ No downward pressure. Keep hand still for a moment — after extension and before stroking. Keep lead arm extended-and-engaged while breathing. These skills are also illustrated in Lesson Three and Seven of the TI Self-Coached Workshop DVD. Excellent rebuttal- offering both a suggestion for how to use the tool in a mindful way, while also giving us the reasoning for not needing to use one. As serious swimmers do we consider our weaknesses in certain skills (like breathing that ‘interrupts’ our stroke) as something we need to compensate for by increasing other strengths (e.g. developing a lop-sided stroke), minimize its annoyance by doing it as little as possible (using a snorkel), or worse, simply endure it as part of our pride in being a ‘tough swimmer’? Or do we embrace an athletic ethic of mastery that compels us to treat each weakness as a priority for what we must master next? I feel that Terry and TI teach us that a Master Swimmer (or a Swimmer with Mastery) is not the Toughest or Fastest Swimmer, but rather he/she is the one who is most persistent and successful at addressing every weakness and turning those into strengths. The Master Swimmer is the one who has turned every aspect of swimming into the most effortless expression. What I hear Terry saying is that if a certain tool enbles the swimmer to turn a weakness into a strength, to turn a point of struggle into Mastery (without encouraging other weaknesses) then it is a useful tool. But when it is used mainly to avoid dealing with the swimmer’s weakness (especially when no other weakness is being isolated and addressed by its use) then it has become merely a contaminant. Or perhaps these tools actually become toys, a form of entertainment during an otherwise ‘tough’, and boring workout. Thank you for real solutions, Terry. I’d like to pinpoint your advise to alternate practicing with and without the swimtool. I rarely use any of the 5 mentioned tools, but if I do, the greatest benefit I’m searching for is the sensation of how does it feel with and without the tool. the difference between the two qualities shows me the space for improvement. The Phrase of the Day: The Difference between the Two Qualities shows me the Space for Improvement. Petr. For someone whose native language is Slovak, you are impressively eloquent in English. Or is the language of TI universal? Right, it’s the universal language of learning. We all have the same genetical equipment for mastering new skills which runs through our entire lives. On one hand nothing is pre-programmed, on the other hand such simple and universal system of buiding the neurological circuits has no limitations. The choice is ours! For me understanding of foreign language is very similar to TI swimming practice. First we learn simple words and phrases, through practice we start to understand the rules, essentials and connections between them and at certain point the inner essence emerges which takes us back to basics and reveals the wider and deeper dimension of the simpliest elements– the principle „behind“. This process goes in circles and it’s endless – this is a permanent promise of continuous improvement. We have selective minds and are able to atomize every skill to the extremely subtile elements and create and address focal points to work on. Then the body is able to respond. The universal language of learning/mastering is something to be revealed, we don’t need to learn it. TI methodology is the highly effective cook-book of self-evolvement in this respect. Mike, As an alternative to closed-fist, also try swimming with only index finger extended, until you feel you can achieve traction with only that digit. I used to need fins to swim fly, but for the last few years have been able to swim sets of 400 to 500 yds and race 200 yds without them. The BetterFly for Every Body DVD shows the drills that taught me how.